Children's Bedtime Story: The Velveteen Rabbit When a once fluffy rabbit is tossed out because he has become worn and old, it is only by the magic of a Good Fairy that this once loved, Velveteen Rabbit can finally become Real. 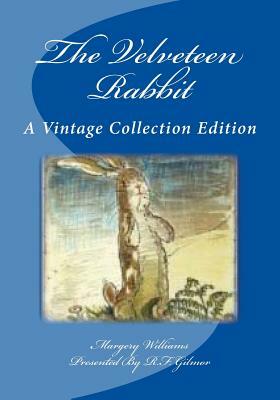 An original and cherished childhood story by Margery Williams, with illustrations by William Nicholson. A Vintage Edition, edited and presented by R.F. Gilmor from her Vintage Collection for a new generation of young children to love and to hold.